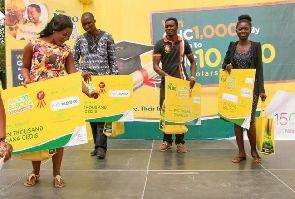 Nestle Ghana has presented scholarship packages worth thousands of cedis as prizes to winners of its Nido Back to School Promotion. Ending the four-month long promotion which started in September, a ceremony held at the Nungua Barrier Junction Mall Friday saw winners walked home with their prizes. Deborah Ankrah who was adjudged the overall winner received GHC10,000 worth of scholarship package. 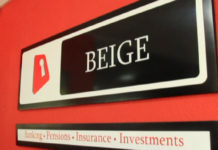 The rest include George Abrokwah who took a packaged price of GHC7,000, Emmanuel Addotey GHC5,000, and Abigail Tetteh who had GHC1,000 scholarship package. Speaking at the ceremony, Nestle Diary Category Development Manager, Edwin Amoako said the promotion forms part of the care the company has for children. 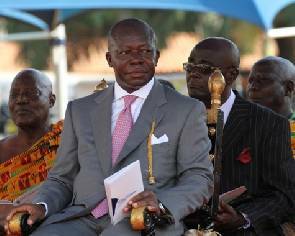 “Nestle Nido is committed to offering the best nutrition to enhance the lives of children in Ghana and enable parents to provide them with a better future,” he said. According to him, since healthy diets and lifestyles are key to the development of children, they must not be treated lightly. He expressed satisfaction that the promotion has helped them to ease the financial burden on mothers during the back-to-school period by offering cash scholarships for their children. Over GH157, 000 worth of scholarship packages were awarded throughout the promotion to aid parents as their children begin a new school year. The Nido Back to School promotion was launched this year with special digital support to enable more people participate in the promotion. At least six winners were awarded daily with GHC1, 500 cash prizes to support their education throughout the months September to December. A number of families have benefited from the scholarship package this year. The Nido team held an amplification event in Ashanti and Greater Accra Regions to reward some of the winners during the months of September and October. Customers were excited for the promotion. They could not hide their joy. The ‘Nido back to school promotion’ was organised under the supervision of the Gaming Commission. The daily winners were electronically selected based on the first person who sent a text message with the highest number of accumulated points for the day. 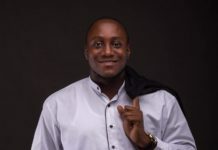 A panel of judges comprised of representatives from Text Ghana, Nestle Ghana and Gaming Commission selected the overall winner based on the highest accumulated points over the 90-day period. #Nestle Ghana has presented scholarship packages worth thousands of cedis as prizes to winners of its Nido Back to School Promotion. 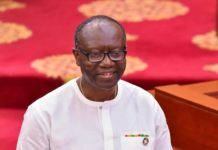 Next articleGhana’s newly appointed Auditor-General, Mr Daniel Domelevo, has rubbished claims that he initially rejected the offer from President John Mahama. Parliament reconvened on Wednesday, January 4, to consider some bills including the Right to Information Bill and the Spousal Property Rights Bill. 47 year old Gifty Anti heavily pregnant; Royal baby expected soon.